Win10 Volsnap.sys Issues? Here's how to fix them. This week's newsletter is all about how organizations can utilize Azure Backup to protect their Active Directory database from ransomware attacks. To help us understand this I've asked Saurabh Sensharma, a Program Manager on the Microsoft Azure Backup product engineering team, to contribute this week's guest editorial. We also have lots of tips, tools, links, and fun stuff as usual--enjoy! The Active Directory (AD) database is the most critical database in the Windows IT infrastructure of every organization and is at the core of providing authenticated access to various network assets in any company. Domain controller (DC) servers provide physical storage for the AD database and therefore become the most critical servers of an organization. One of the key defense strategies that DC backup-admins must exercise is to "assume breach" and plan "recovering" from a compromise. In the probable event that your AD is compromised, recovery entails either reversing every adversarial change an attacker makes to the AD Database or just recovering from a "good" backup. A solid AD-backup & restore strategy is therefore critical in reducing costs related to AD-attack recovery. What is a solid backup & restore strategy for AD? Backing up the "System State" of two or more domain controllers in a domain-forest using a certified, AD-compatible backup application such as Windows Server Backup ensures the supported method of restoring an AD-environment to a healthy-state. System state contains the AD database, log files, the windows registry and the SYSVOL folder, which are critical in defining and maintaining the state of AD. The system state backup strategy holds good even for virtualized DCs, when implemented in-guest. Recovering AD from a VM-snapshot is not recommended or supported due USN-bubbles that can lead to incorrect passwords, lingering objects and a domain controller that doesn't converge with other domain controllers in the environment. While VMs on Windows Server 2012 and above alleviate USN-bubble issues by supporting the VM-Generation ID, VM snapshot-based AD restore is still not a replacement for System State backups and the AD DS Recycle bin. That's because after restoration from the snapshot, any un-replicated changes that originated from the VM after the snapshot, are permanently lost. A good System State backup is therefore the only fully-supported way to restore physical or virtual domain controllers. So how does one ensure "good" System State backups? 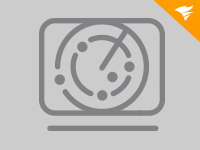 The time-tested Windows Server Backup feature on Windows is the most reliable way to make System State Backups of your domain controller to a locally attached disk or to a network share. However, there is additional infrastructure backup admins need to provision (such as local-disk space) and ensure availability of disks and network shares, both during backup & restore. But there is something more alarming. Attackers are becoming increasingly sophisticated and one of the exploits they are using to gain access to the AD Database (ntds.dit) is through domain controller backups located on-premises. So while you might be backing up your active directory on schedule, your backups might become the entry-point for compromise. That is not much reward for good behavior of backing up your AD regularly. Not only is there a need to minimize local-backup infrastructure and secure System State backups, but more importantly to isolate or offsite these backups reliably to a robust fault domain that is not linked to your domain controller, so ransomware cannot get to them. The public cloud can come to the rescue here. Backing up AD 'directly' to the public cloud not only satisfies the requirement of creating an isolated fault domain for backups, but with advances in network bandwidth, it also meets recovery time requirements since the average size of the AD Database is about 30GB, which can be restored relatively quickly from the public cloud. Backup your Domain Controllers' System State to cloud with Azure Backup. Azure Backup leverages the infinite scale of Azure to provide a bottomless, highly-available, and robust offsite backup target. By storing three copies of your data at a minimum, Azure Backup precludes possibilities of backup data loss due to corruption or storage failures, making restores more reliable than ever. Additionally, you can restore your System State backups from Azure without any charges! Windows Server Backup lacked the capability to specify retention of backups. In addition to providing automated scheduled backups, the Azure Backup enhancement provides a rich experience to specify retention period for daily, weekly & monthly system state backups, and automatically prunes recovery points that reach the retention age. There is no need to deploy any agents or provision additional infrastructure to get these management capabilities, which can be used for backing up your AD infrastructure at scale. Saurabh Sensharma is a Program Manager on the Microsoft Azure Backup product engineering team. He is responsible for Cloud-integrated backup solutions for Hybrid IT environments and integration scenarios for Backup and Disaster Recovery in Azure. Saurabh has worked on enabling several hybrid backup and restore scenarios, including the Restore-as-a-Service based Instant File Recovery approach for Azure Backup. With 7+ years of experience in mobile and cloud technologies, 1 granted and 3 pending patents in security, artificial intelligence and user-experience, Saurabh hopes to redefine what public cloud can be for IT data protection and infrastructure management. The popular course is a thorough Office training created for true beginners who want to learn the basics of working in Word, Excel, and Outlook. Based on the Microsoft Step by Step books, the course starts with the very basics. You get hands-on practice in every module, as the instructors take you through the practical skills you'll need for any job that requires Office fluency for day-to-day tasks. In just six short weeks, with four to six focused hours per week, you can skill up on Office—and you don't have to bring any experience at all to the table. Plus, you can use free trial versions of the software if you don't already have it on your computer. After you've successfully completed the course, you will even be prepared to take the Microsoft Office Specialist (MOS) certification—which looks great on any résumé and proves your new knowledge and skills—if you choose to do so. For the first time food scientists have managed to produce bacon that does not include nitrites from vegetables or curing agents. Would you actually eat that stuff if it becomes available in your area? Why or why not? No readers took the bait on that one, maybe nobody likes bacon? Fact: America is running out of cassette tape. National Audio Co. is the only company in the U.S. that produces cassette tape. Now, as cassette tapes enjoy a resurgence in popularity, National Audio has less than a year's supply left of the stuff. Question: How many readers still remember using cassette tapes with their personal computers like the TRS-80 or Commodore 64? Got any fond memories or stories to share with us? Cloud physical and workstation technical overview for Veeam agents with enterprise storage capabilities. Read now. MailStore Server is an email archiving solution, catering to the needs of SMBs. It is easy to install and supports most email systems. A free trial is available for download on the vendor's website. Laptop batteries never give you enough juice to get everything done you need to, or so it's always seemed to me. I've gotten used to closing the lid and putting my laptop to sleep if I'm going to be away from it for more than a couple of minutes, but wouldn't it be nice if I could just kill the display without putting the machine to sleep? and download ScreenOff 2.1, a small standalone utility that does just want you desire. After you've downloaded the zip file, extract it and then drag ScreenOff 2.1.exe onto your taskbar. Now anytime you want to turn off your display just click the icon on your taskbar and voila! To turn your display back on, just press ESC or click your mouse. I want to add one more thing I've found very useful concerning this tip. If you pin the ScreenOff app to your Windows 10 taskbar and drag it to the rightmost position on the taskbar, then instead of needing to click on the ScreenOff taskbar item to turn your screen off, you can do this with your keyboard by pressing the WinKey + 1 combination. Yay! Rod Trent explains on his site myITforum how to fix a problem whereby after a recent update to Amazon's Fire tablets customers have found that when attempting to uninstall apps, the app seemingly will not uninstall and the icon grays out but never disappears. Businesses of all sizes need to be prepared for the worst. These disaster recovery services can get you up-and-running after a major catastrophe. For many IT pros, each year is defined by the seemingly endless chain of IT conferences they attend. Here's how to stay sharp and productive on the road. PowerShell can be wonderful — but PowerShell errors can be frustrating. Knowing how to avoid "term not recognized" errors will make your PowerShell experience a lot less trying. Cyberattacks pose a massive threat for every enterprise. These cybersecurity risks deserve your undivided attention and constant vigilance. Azure Directory synchronization involves a little bit of planning, but this article gives you a road map to get to your destination. Fixing Win10 Volsnap.sys issues is pretty simple, as long as you've got the right ingredients. Find step-by-step directions here. Take a look back at how Citrix has changed, where they stand now, and what's coming next. Think you have what it takes to be considered a VMware VDI expert? Go up against our toughest VMware terminology test to claim the title every virtual desktop admin should have. Who would not want to go shopping in a flying bathtub?